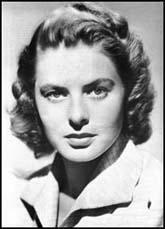 Ingrid Bergman was born in Stockholm, Sweden, on 29th August, 1915. Educated at the Royal Dramatic Theatre School in Stockholm, she made her film debut in Branningar (1935). Bergman established herself as one of Sweden's leading stars in films such as Munkbroggreven(1935), Swedenheilms (1935) and Intermezzo (1936), a film where Bergman played a pianist who falls in love with a married violinist. Intermezzo was seen by the American producer, David O. Selznick. He was so impressed he invited her to do a remake in Hollywood. Her husband, Dr. Peter Lindstrom went with her and he eventually became one of America's leading brain surgeons. 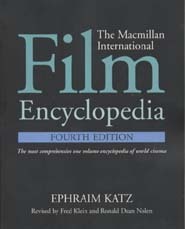 The Hollywood version of Intermezzo was a great success and Bergman followed this with other popular films such as Adam had Four Sons (1941), Rage in Heaven (1941), Casablanca (1942), For Whom the Bell Tolls (1943), Gaslight(1944), The Bells of St. Mary's (1945), Spellbound (1945), Notorious (1946) and Joan of Arc (1948). In August, 1949, Bergman became the centre of a major scandal when it was revealed by her husband, Dr. Peter Lindstrom, that she had abandoned Pia, her ten year old daughter, to live with the Italian film director, Roberto Rossellini. Politicians became involved in the case and one senator, Edwin Johnson of Colorado, denounced her behaviour as "an assault upon the institution of marriage" and described her as a "powerful influence of evil". Bergman was unable to work in Hollywood for seven years but made a triumphant return in Anastasia (1956) for which she won an Academy Award. Other successes included The Inn of the Sixth Happiness (1958), The Yellow Rolls-Royce (1964) and the Murder on the Orient Express (1974). Ingrid Bergman died on 29th August, 1982.